Employers will soon be able to take advantage of a federal private right of action for misappropriation of trade secrets. The Defend Trade Secrets Act (“DTSA”), passed by both houses of Congress in a very rare act of bipartisanship, is expected to be signed by the President any day, at which point it will apply to any misappropriation of trade secrets. Many states have their own trade secret protection laws, but they vary from state-to-state, and many state court judges have proven themselves unwilling to accommodate out-of-state companies seeking to enforce it in their courtroom. Over time, the DTSA will create a more uniform body of caselaw and provide more predictability to company litigants. Note that the DTSA does not preempt state trade secrets laws, so filing in state court remains an option for trade secret theft victims. 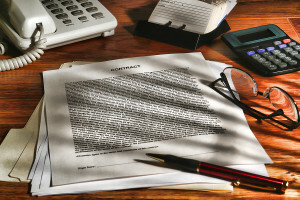 There is one provision buried in the DTSA that all employers need to be aware of which necessitates a change to whatever form of employment agreements they use with employees and contractors to protect their confidential information and trade secrets. The very last section of the DTSA amends the Economic Espionage Act to create immunity from liability where an individual (i.e., a current or former employee or contractor), confidentially discloses a trade secret to a government official, an attorney, or in a court filing. This Section of the DTSA requires that “[a]n employer shall provide notice of the immunity set forth in this subsection in any contract or agreement with an employee that governs the use of a trade secret or other confidential information.” An employer that fails to comply may not be awarded exemplary damages or attorneys’ fees in an action under the DTSA unless the employee was provided with this form of notice. All employers who incorporate trade secret protection language in their agreements with employees should consult with an attorney to revise their agreements to to ensure they can take advantage of all the remedies available to them under the DTSA should a current or former employee or contractor misappropriate the company’s trade secrets.